Costa Rica is famous for having several mangrove estuaries but one of the most famous and outstanding ecosystems is the Mangrove of Damas Island. 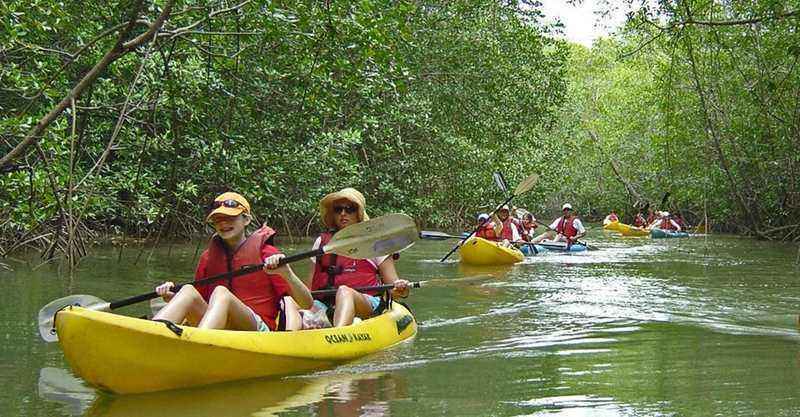 The Mangrove Kayak Tour in Manuel Antonio provides you with the perfect opportunity to get away from the crowd and surround yourself with nature. 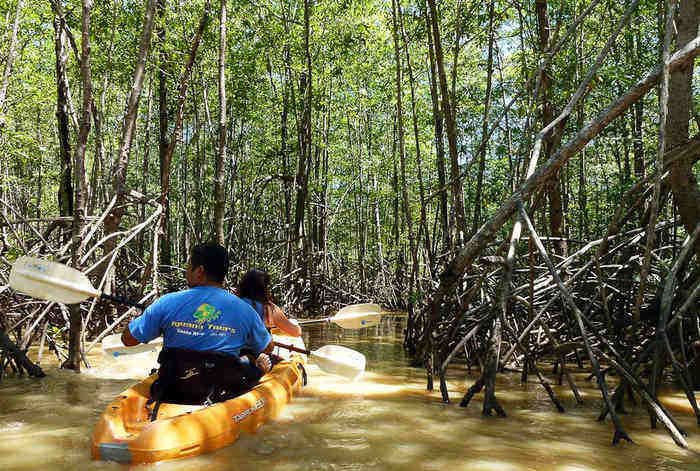 The actual mangrove kayak tour is done in Damas Island which is about a 10 minute drive from Manuel Antonio. During the mangrove kayak tour, you will be guided by one of our Tour Experts through the lush and beautiful estuary of Damas Island. The mangrove is home to several birds, reptiles, mammals and insects so you get the chance to get up close with wildlife while you are kayaking through the estuary. The Tour Guide will be teaching you about the mangrove in Damas Island and is there to help you along this fantastic adventure. The total tour is 3 hours. Included is transportation, kayak equipment, tour guide, costa rican meal, water and drinks. Price is $65 per person. The departure time depends on the high tide but the exact departure time can be provided when you select a specific date.